High Speed. High Use Applications. 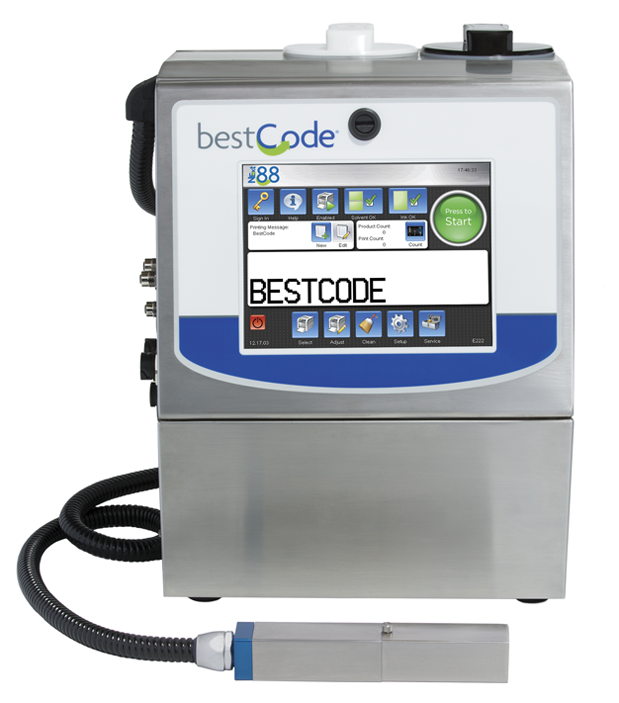 The BestCode Model 88 is targeted at high speed, high use applications, printing 1, 2, 3, 4 or 5 lines of text, barcodes or graphics. A complete range of dye and soft pigmented inks available in a variety of colors for a wide range of applications. Typical applications mark and code one, two or three shifts per day or 24/7 operations, five to seven days per week, averaging 4,000 — 8,760 hour annual operation. Utilize integrated RS232 and programmable inputs\outputs for remote control and communications.